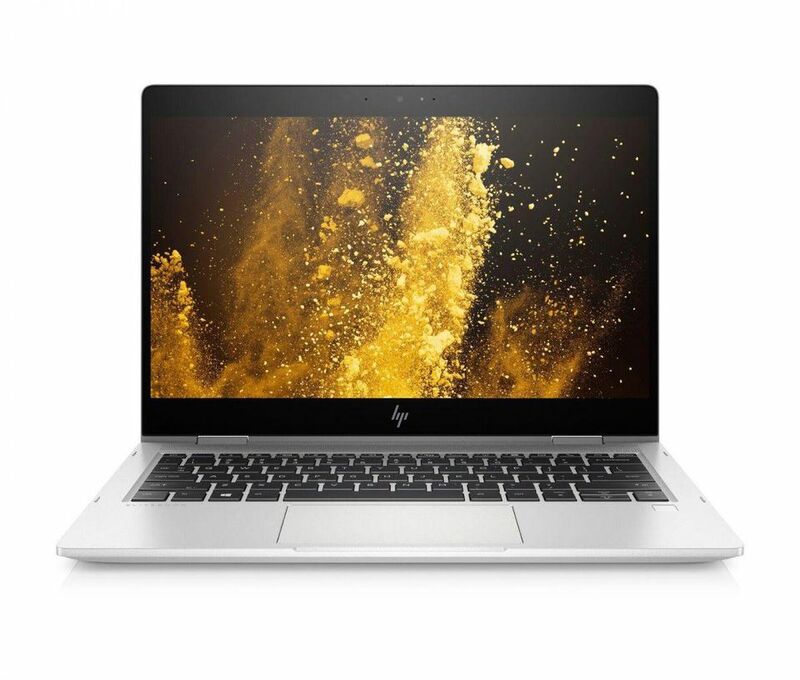 HP has been executing its strategy of providing powerful, stylish PCs that cater to the blurring lines between work and leisure, called “One Life”, and the growing consumer desire to do both of those things, anytime, anywhere. Moreover, it has been executing this strategy well—last year’s HP Spectre Folio was one of my favorite devices I’ve used in a long time. The big story from this round of announcements is that HP is going all-in on its display game. Let’s take a closer look (note: Moor Insights & Strategy associate analyst Anshel Sag will be covering HP’s gaming related announcements here). HP Inc. announced a new slate of immersive displays for its Pavilion laptop line. The one that I’m most excited about is the HP Pavilion 27 Quantum Dot, which I believe is the first Quantum Dot on glass display in the world, featuring a billion plus viewable colors. At 6.5mm wide, it’s the company’s thinnest display to date, with a three-side micro-edge display that makes the most of the available space. As for connectivity, the new display features USB-C video, DisplayPort, HDMI, and a USB 3.0 port. Quantum dot-based displays are known for their exceptional color reproduction as traditional displays are based on only three main colors. Quantum dot displays produce billions of colors where regular displays emit millions of colors. I am excited to try one of these new Quantum Dot displays out myself as I have never used one before. 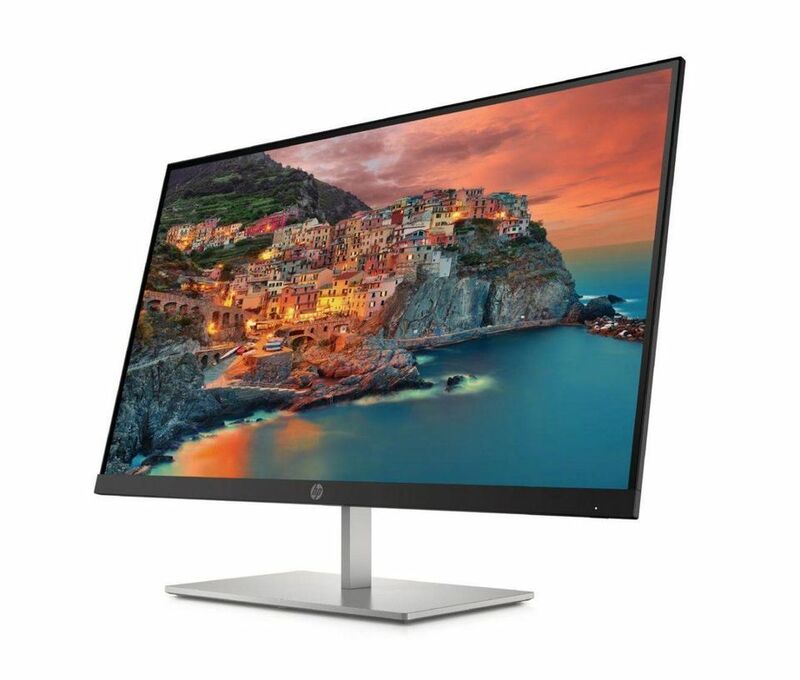 In addition to the Quantum Dot, HP also launched the Pavilion 27 FHD display, which features a pop-up privacy camera and built-in B&O audio, and the Pavilion 32 QHD, which sports Quad HD resolution and a 100% sRGB color gamut support. The pop-up privacy camera is a great feature that thankfully will keep you from taping it over which is such an eyesore, and tape also leaves a near permanent residue when you peel it off to actually use it. Integrated cameras and speakers enable much less clutter, too, and I envision these displays located closer to visible areas like kitchens and living rooms. Another product that caught my eye was the new HP EliteBook x360 830 G5, which HP is billing as “the world’s brightest business convertible” and at 1,000 nits, this passes my quick test. This device is geared towards bringing x360 to the mainstream for on-the-go workers and features anti-glare technology that makes it ideally suited for outdoor settings or in offices with lots of natural light. I can tell you from experience that this matters as I am on the move outside my office 90% of the time, sometimes even needing to work outside or in an Uber where it is bright. The 830 features up to a beefy 32GB of memory, 2TB of SSD storage, and 8th generation Intel quad-core processors, as well as Gigabit-class 4G LTE connectivity (yay) and collaboration tools such as a world-facing microphone HP Noise Cancellation technology. It also features HP’s Privacy Camera, which covers itself when not in use, and the 3rdgeneration of HP’s Sure View privacy screen (more on that shortly). In short, it looks like an impressive, performant device, geared towards collaboration, that can be used in virtually any setting—from the café patio to the boardroom. I can’t wait to try it out. For its Spectre lineup of premium PCs, HP announced the Spectre x360 15. HP boasts that the Spectre x360 15 is the world’s first 15” laptop to feature an AMOLED display so the blacks will be amazing. As for the leather-bound Spectre Folio convertible that I enjoyed so much upon its release last year, HP announced that it will now be available with an optional 4K display, and in a nice “Bordeaux Burgundy” color option. You’ll probably take a couple hour battery hit, but if you want 4K movies and photos to look their best, the tradeoff is worth it. Also announced was the HP EliteDisplay E243p Sure View Monitor, which is the first 24” diagonal display to feature an integrated privacy screen, and the HP EliteOne 800 AiO G4, which the company claims is the first AiO with an integrated privacy screen. Sure View G3 functions by obscuring the contents of your display at a 40-degree angle, and can be toggled on and off in the event you need to share your screen with a coworker. By integrating HP Sure View with these products, along with the EliteBook x360 830 G5, HP Inc. is executing on its vision of a more secure workplace. I have used multiple editions of Sure View and every one gets better and better. If shoulder surfers are in your office and you are working on sensitive material, you will absolutely want to consider this. The last thing I’ll mention is HP’s new Chromebooks, the x360 14 and x360 14 G1. The 14 is of note primarily because it is the first to feature an AMD processor, a dual-core Stony Ridge A4, with integrated Radeon R4 graphics. It features up to 32 GB of storage, dual B&O speakers, and a purported best-case battery life of 9 hours and 15 minutes. All of this, for a relatively affordable $269. As with many of AMD’s integrated solutions, I would expect the graphics to be pretty good. 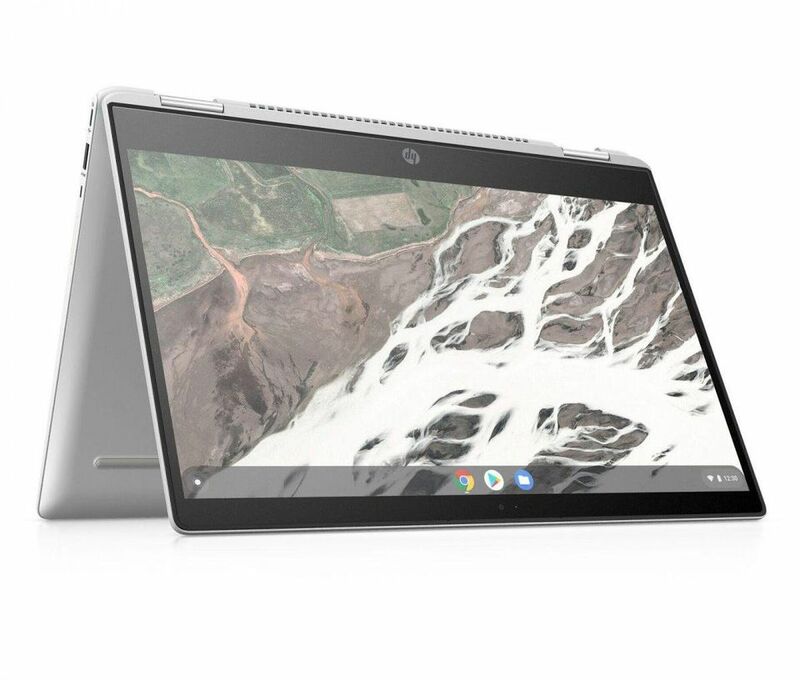 The 14 G1, on the other hand, represents HP’s go at a “premium” Chromebook for the enterprise. It supports up to an Intel Core i7 processor and features up to 64 GB of storage, 16 GB of memory, and a purported best case 13 hours of battery life. It can toggle between 4 different work modes—clamshell, tent, viewing, and tablet. With backlit keys, a narrow bezel, and a snazzy silver aluminum finish, it certainly has that “premium” look. While I don’t think Google is moving quickly enough to improve the Chromebook experience, for those who choose Chrome OS, consumers should check these out. All in all, it was a display kind of year for HP Inc., with a few “world’s firsts.” CES doesn’t seem to be the show where HP is announcing its newest products and I expect many more as we get closer to the consumer “back to school” and “holiday” seasons and coincident with Intel and AMD’s latest platforms. Bigger picture, I attended the HP Executive Forum last year and came away with a new understanding of the company, its culture, and how its managed to keep its edge since its split from HPE. Part of that, as I wrote before, is the human element of HP’s corporate environment. But the other part of that is that this company simply does not stop delivering solid, powerful PC offerings. I believe HP Inc. understands how people will work and play in the modern era, and its lineup continues to reflect that. Not that there’s not more work required, there is, particularly with gig economy workers. Still, nice work, HP.